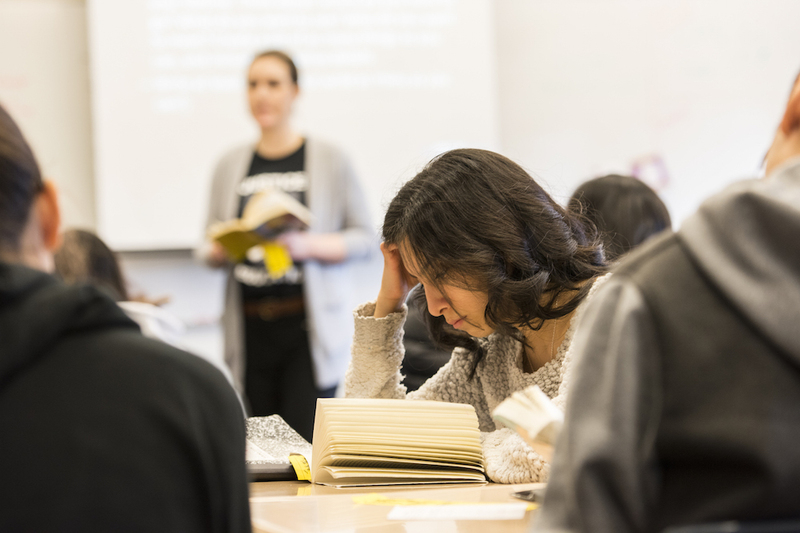 While Washington’s teacher workforce is getting younger, closing the diversity gap in the profession has proven stubbornly resistant over the past two decades according to a new report exploring teacher retention and mobility in the state. The report, prepared by University of Washington College of Education researchers for the Office of the Superintendent of Public Instruction, explores the movement and demographic characteristics of the state’s approximately 60,000 teachers within and across districts, as well as into and out of the profession. Overall, the analysis revealed considerable stability in Washington's teacher workforce over the last 15 years, with four out of five teachers still working in the state's public schools after five years. However, a higher proportion of beginning teachers move within and out of their districts, as compared to all teachers statewide. Researchers found that statewide nearly 60 percent of Washington teachers are located in the same school after five years, 14 percent move to other schools within their district, 7 percent relocate to another district within the state, and approximately 20 percent exit the workforce. A large proportion of exiters are of retirement age. Retention and mobility rates have not changed much in the past 15 years. One major finding is that the share of first- and second-year teachers in Washington schools has nearly doubled in the last six years, from 6.0 percent of the workforce (3,387 teachers) in 2010-11 to 11.6 percent (6,918 teachers) in 2015-16. Report co-author Margaret Plecki, professor of education, said the growth in the number of new teachers is likely due to a combination of more older teachers reaching retirement age, changes in policies such as class size reduction and full-day kindergarten that increased the demand for teachers, and greater demand after hiring slowed during the Great Recession. “Given the substantial increase in the proportion of new teachers in recent years, the need for efficient and effective teacher mentoring and support programs is more pronounced than it has been in the past,” Plecki said. Washington has attempted to address the issue of the mentoring and induction of beginning teachers through a program called BEST (Beginning Educator Support Team). UW researchers currently are in the process of conducting a related study of the BEST program and how it supports beginning teachers. The Washington legislature is considering an expansion of the program in next year’s budget. At the same time, even as the diversity of Washington’s student population continues to increase, only minimal progress has been made in the diversity of the teaching workforce, which remains overwhelmingly white. From a 94 percent share of the teaching workforce in 1995-96, white teachers continued to comprise 90 percent of Washington teachers in 2015-16. Report co-author Ana Elfers, research associate professor of education, noted one strategy to address the issue that’s coming into prominence is a “grow your own” approach. “This means that efforts are made to encourage and support individuals who are from the local community, often working as paraprofessionals, to become teachers,” Elfers said. Annual retention rates for Washington teachers are similar to nationwide rates, with about 84 percent of teachers working in the same school from one year to the next. However, there’s considerable variation from district to district in rates of teacher retention and mobility. In a sample of 10 Washington districts with more than 10,000 students, the share of teachers who stayed in their same schools after five years ranged from 45 to 62 percent. The researchers noted chronic issues related to retaining teachers in particular subject areas—such as math, science, special education and English learners—that call for targeted policies to address those particular shortage areas. The authors identified statistically significant factors associated with statewide teacher retention and mobility for all teachers statewide and for beginning teachers. For all teachers statewide, certain factors—such as full-time versus part-time status, school level (elementary, middle, high school) and region of the state—had a statistically significant impact on whether a teacher was more likely to stay, move or exit the workforce. Somewhat surprisingly, the student poverty level of the school was not a consistent statistical predictor of teacher retention or mobility for all teachers statewide. Full-time teachers are more likely to stay in the same school, less likely to move within district or out of district, and less likely to exit than part-time teachers. High school teachers are more likely to exit or move out of district than elementary teachers. Teachers outside of the Puget Sound Educational District (121) are less likely to exit and to move out of district, and more likely to move in district than those in ESD 121. Full‐time beginning teachers are half as likely to exit as part-time beginning teachers. Beginning teachers in larger districts are slightly more likely to move within district and less likely to move out of district as beginning teachers in smaller districts. As the percent of white students enrolled in the school increases, there is a slight decrease in the likelihood that a beginning teacher will move out of district.